Address: Pedro Barba, 3, Puerto del Carmen (Lanzarote), Islas Canarias. Apartamentos Playa Club are just 50 metres from the sea, and 150 metres from Playa del Carmen’s longest beach. This complex has outdoor pools and a supermarket. Each spacious apartment is brightly decorated and has a balcony or terrace. There is a living area with satellite TV, a kitchenette and breakfast bar. The apartment complex has a 24-hour reception. There is also a restaurant serving à la carte menu and a buffet breakfast every day. 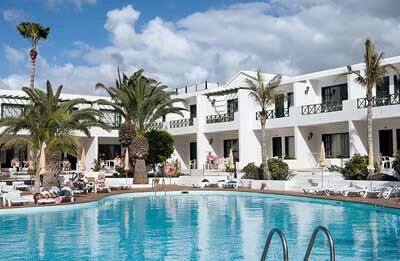 The complex is set in the Las Playas resort area, in southern Lanzarote. The centre of Puerto del Carmen is less than 2 km away. Please inform Labranda Playa Club in advance of your expected arrival time. You can use the Special Requests box when booking, or contact the property directly with the contact details provided in your confirmation. When booking half board, please note that drinks are not included. The pools are heated between November and March.